Are we entering a golden age of political satire? 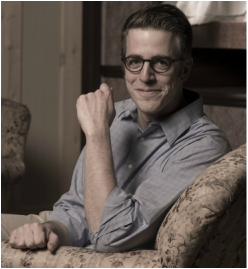 Matt Fotis, Assistant Professor and Co-Chair of the Theatre Department at Albright College, discusses this art form in the age of post-truth. Matt Fotis is an Assistant Professor and Co-Chair of the Theatre Department at Albright College where he teaches improvisation, acting, and writing for performance. Additionally he serves as the advisor/artistic director for Albright Improv and The Children’s Theatre of Albright. He received his PhD in Theatre from the University of Missouri, where he was a Raymond White Dissertation Fellow. He holds a Master of Arts from Illinois State University where he received the James L. Fisher Outstanding Thesis Award from the College of Fine Arts, and a BA from Monmouth College. He is the author of Long Form Improvisation and American Comedy: The Harold, which garnered him The Dr. Henry P. and M. Page Laughlin Distinguished Faculty Award for Research, and The Comedy Improv Handbook. In addition he has published or presented on various topics, including improvisational theatre, new play development, political theatre, arts administration, solo-performance, folklore studies, popular culture studies and more. His work has appeared in Theatre Journal, Theatre Topics, The Journal of American Drama & Theatre, The Encyclopedia of Humor Studies, The Encyclopedia of American Studies, and MLB.com among others. He has won numerous awards in various fields and pursuits, but balances these accolades with his social awkwardness. Donald Trump’s presidency is ushering in a new era in American politics and with it a new era in political satire: the age of post-truth. With Trump railing against the press on a seemingly daily basis (and tweeting his own facts), satire is poised to play an important role during his presidency, but what will post-truth satire look like in Trump’s America? Though it is relatively young, satirizing presidential politics has undergone a radical shift in its roughly fifty-year history. Many of the earliest presidential satirists sought to illuminate the absurd within the real. Through the latter half of the 20th century, presidential satirists mainly worked to amplify their targets, making them more extreme, more out of touch, more absurd. The truth these satirists sought was not found in the real, but in the absurd amplification of the real. After 9/11 and during George W. Bush’s presidency satire began to shift. The truth became harder to find, thanks in part to the secrecy of the Bush White House and the “patriotically correct” reporting of the media, who seemed tentative to question lest they be seen as unpatriotic. With the campaign of Donald J. Trump pushing all notions of normal to the wayside, satirists have attacked Trump in much the same way Tina Fey attacked Sarah Palin – by repeating Trump’s own words. While SNL and others (most notably his Republican primary challengers and Hillary Clinton) have tried to use Trump’s words against him to amplify the real behind the absurd, the strategy has proven largely ineffective both politically and satirically. So how can satire succeed in the age of post-truth? By satirizing it. Satire has always sought to reveal truth and in our current climate that charge has never been more important or seemingly more difficult.